The 200Tdi and 300Tdi Defenders are some of the most practical vehicles Land Rover has ever made. They’re easy to maintain and fix – but even the youngest are over 15 years old, so buy carefully. There are lots of Tdi-engined Defenders to pick from – and some really smart ones are still around. Here are our top tips for buying a Defender Tdi. Discuss prospective buys on our message boards, too. For a complete low-down on what the experts look for, take a look at our LRO Buying Guides. See below for details. On the 200Tdi, fuel rail return pipes disintegrate; symptoms include the smell of diesel and visible leaks. They can be replaced with plastic tubing. With the 300Tdi, timing-belt edges shred on early engines. This can be rectified by using different belt pulleys. The belt can be checked through the wading-plug hole, using a small bulb. Check the service record; if a belt change isn’t recorded, it needs doing immediately. Radiators rot, the fins just fall away from the tubes and you get overheating. To check, shine a torch through the grille. Bores and piston rings don’t wear much, so if it’s not performing well, that’s usually a fuelling problem. The mainshaft of the fuel lift pump (on the side of the engine) can wear. A failing fuel lift pump can cause a lack of top-end power. To be certain, crack the bleed screw on top of the filter – if no fuel comes out the lift pump isn’t working. Watch out for the ‘P’ gasket behind the water pump, it can let go suddenly. If there’s weeping, fixing it is a must. Always try to view the vehicle when the engine is cold. The 200Tdi had the LT77 five-speed gearbox and LT230 transfer box. The 300Tdi has the R380 gearbox, with the LT230 transfer box. LT77s can slip out of gear. And a worn clutch can make the gearchange obstructive. As originally built, the LT77 mainshaft chafes its splines where it mates to the transfer-box due to oil starvation. One symptom is a clunk when taking up drive. The solution is to fit a cross-drilled gear, which simply improves oil flow. The clutch fork is weak, metal wears away and the middle pushes through. The clutch pedal goes to the floor but won’t come back. Check service records for clutch fork. Be sure to check a 300Tdi’s 3rd-to-2nd down-change, a typical R380 weak point. Early Tdi engines leak oil from drive flanges – messy, but not necessarily a problem. Everything is fixable. But multiple worn components will end up costing a lot. So avoid tow-vehicles. Expect wear in the suspension bushes. A clonk as you take up drive can be caused by a worn rear A-frame ball-joint. A clonk when braking could mean front radius arm bush issues. Panhard rod bushes wear, too. Individual Polybushes aren’t expensive, a full vehicle kit costs £164 from Craddock’s. Heavily rusted springs will be weakened. Some vehicles have taller springs - try tight corners on the test drive, you may not like them. Steel wheels were standard on utility models, but many Defenders have alloys. Posh wheels/tyres attract thieves and locking wheelnuts are useless, so unless you have lockable parking, steel wheels are best. Braking should be impressive. Often badly maintained, but parts are easy to find and not costly. All Tdi Defenders have front discs, but 200Tdi models have rear drums, which changed to discs shortly before the 300Tdi’s introduction. Corroded brakepipes are typical, and flexy pipes are often tired. Callipers are often in poor shape too, with the pistons partly seized. Simple to understand. Power steering is sometimes leaky, but not very expensive. No big costs unless front swivels are badly deteriorated. You’ll often find a lot of play in the drop-arm ball-joint. Wiggle the steering wheel and look for a lot of play before anything happens. Attention to the axle can transform leaden and imprecise steering. Make sure the vehicle steers straight ahead on a smooth, flat road when the wheel is held only lightly. Electrics are very basic and wonderfully straightforward. The stop-start solenoid can stick, requiring you to stall the engine to stop it. 300Tdi headlight switches seem prone to burning out – check everything works. Watch out for the two-button remote keys that came with 300Tdis from about N-reg. There’s an immobiliser in the battery compartment, which often gives trouble. Always make sure both keys work. Everything can be fixed – but vehicles requiring a lot of work need to be very cheap. It only makes sense to replace the chassis and bulkhead if the vehicle is cheap and the rest is in good nick. Otherwise, find another vehicle. Bulkhead top corners rust through and repair sections are sometimes fitted applique-style – a horrible bodge. Check the driver’s door frame, near where the push-button lock is located. You’ll see if it’s cracked. Look under doors for rot. Rear-door steel frames may crack where the wiper goes through, if there’s been a rear-mounted spare wheel. You’ll be lucky to find a tidy interior, but replacements are available and it’s all DIY. Alpine light seals harden and split, allowing leaks. Early sunroofs leak. There aren’t any drain tubes, so water just sits there. They are known to leak at the place where two panels are spotwelded together, where the roof starts to slope down. They leak from the sides into the internal gutter too and condensation is a frustration. Check the inertia-reel seatbelts work properly and check that the doors latch and lock properly. If there’s a mat in the rear, lift it up – floors can rot where the aluminium floor meets the steel supports underneath. WEIGHT: 90 - 1964 to 1793kg depending on model; 110 - 1913 to 2028kg depending on model. LOAD SPACE: 90 - 1844 litres (hard-top) or 1243 litres (Station Wagon); 110 - 3062 litres (hard top) or 1325 litres (Station Wagon) or 1644 litres (double-cab) or 4000 litres Hi-Capacity Pick-Up. For details email: landrover.owner@bauermedia.co.uk or Tel: 01733 468582. The arrival of the TDCi Defender marked the first time in the entire lifespan of Land Rover’s utility model that there was no option of an in-house engine. The incoming Ford DuraTorq engine had been designed for road-going vehicles – specifically, the Transit van range - but was tweaked by Land Rover for off-road conditions. As it’s turned out, Ford’s TDCi has worked well in its Defender installation – the engine has won acclaim for its incredible torque. Users appreciate the new six-speed gearbox, which makes motorway use more civilised and towing easier. These new models got a revised interior, too. The TDCi Defender looks and feels exactly like what it is – an old design that’s been re-powered to squeeze on a few more years’ production before finally bowing out. Here are our top tips for buying a Defender TDCi. Discuss prospective buys on our message boards, too. For a full low-down on what the experts look for, take a look at our LRO Buying Guide. See below for details. The TDCi diesel engine is best described as brutal, there’s so much torque. 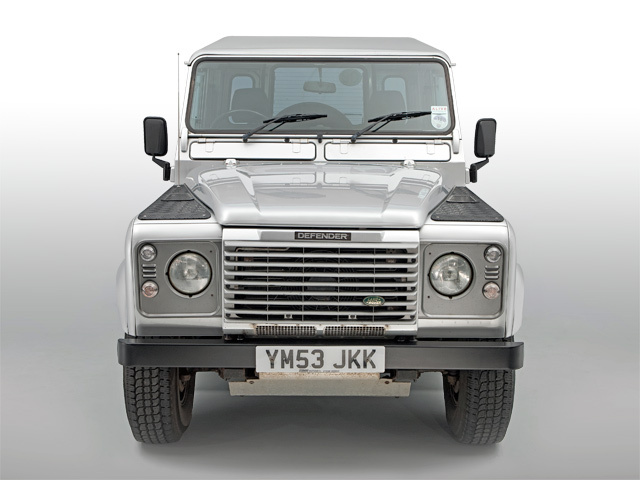 Originally fitted to the Defender in 2.4-litre form, a 2.2-litre version of the same engine powers current models, having been redesigned to comply with emissions rules. Sometimes EGR valves are problematic. Symptoms include loss of power and lots of black exhaust smoke. The engine management light may come on, but not always. Injectors are sometimes faulty, and on older vehicles catalytic converters could get blocked. The 2.2-litre version introduced in 2012 includes a diesel particulate filter. The DPF requires a regeneration cycle to clean itself, which happens when the vehicle is driven at operating temperature for about 20 minutes in high range at speeds more than 40mph. The air filter is fiddly to extract, the oil filter is a messy cartridge-type in a vulnerable plastic housing, and the fuel filter (located within a rear wheelarch, incredibly) can be difficult to deal with. Clutches can sometimes go at relatively low mileages. Due to the enormous torque, some users just don’t bother with the low box. Check the gearchange and clutch action, making sure changes are easy and smooth. Better still, don’t buy a Defender that’s been used for towing. Early gearboxes had some problems, as they’d lose synchromesh, but there were recalls. Change gear and see if it selects smoothly. On early models, the front prop could touch the sump on full articulation. The sumps were replaced if the vehicles were main-dealer serviced, so check if the sump has a recess to clear the front propshaft. The suspension is basically the same as on previous versions, although spring rates and dampers are re-specified. The suspension should be very firm and could even be described as hard. Bushes are the main problem, but they’re not difficult or expensive to fix. Brakes are well-designed and efficient. However, they often take a lot of punishment on farms or when towing. On vehicles fitted with ABS, check the dashboard for warning lights (though the ABS light should remain on until 6mph). While you’re looking, check for traction control warning lights too. As always, check straight-line braking on a smooth and level road with the steering wheel held lightly, to feel if there is any pull to one side and that braking is smooth and progressive. The rubber boots on steering ball joints (track-rod ends) can sometimes split, which happens almost routinely if the vehicle is used in rough undergrowth. Even a small split is now an MoT fail. Check power steering by making sure the wheel goes cleanly from lock to lock, listening out for groaning noises. The steering system is usually free from major problems, but don’t assume it is – still check carefully on the test-drive. Switches aren’t very durable and hazard light switches burn out if they’ve had a lot of use. Check the electric windows (if fitted) do actually wind all the way down and then come back without protests and funny noises. Side and rear doors are now steel, but Defenders are still easy to get into. Some insurance companies won’t insure a Defender in certain postcodes so check before you buy one. The spare wheel can cause rear-door stress fractures. Open the door and look for a crack in the middle at the door frame, immediately below the glass. As for the chassis, some Defenders four or five years old are already beginning to corrode in places. Jetwash and underseal should be part of your buying budget. Forward-facing seats were introduced, which fold up on the wheelarches. There’s a redesigned dashboard – an improvement according to most users. TDCi models have only two front seats, and base-model seats are firm and can get sweaty. Engine vibrations are transmitted to the steering wheel. At certain engine loadings, you’ll see the whole wheel bouncing up and down at high speed – it can be as much as five millimetres. This is normal, but could become very tiresome on long drives. How times have changed. Builders’ tow trucks, comp safari bobtails, untaxed and unroadworthy farm runabouts, dog kennels – older V8 Range Rovers were un-cool for years. And right at the bottom of the pile lurked the two-doors – simply because it’s harder to get into the back. If there was ever a car just waiting to make a comeback, it’s the two-door Range Rover. If you’re looking for a simple, classic design that’s aged tastefully – a two-door is beautiful. Enthusiastic rumour mills would have us believe all two-doors cost megabucks. Not true: late models needing work can still be found for just hundreds of pounds. They can really hurt your wallet after purchase, though. Work on these is often expensive, and unless done to a high standard the car will depreciate. 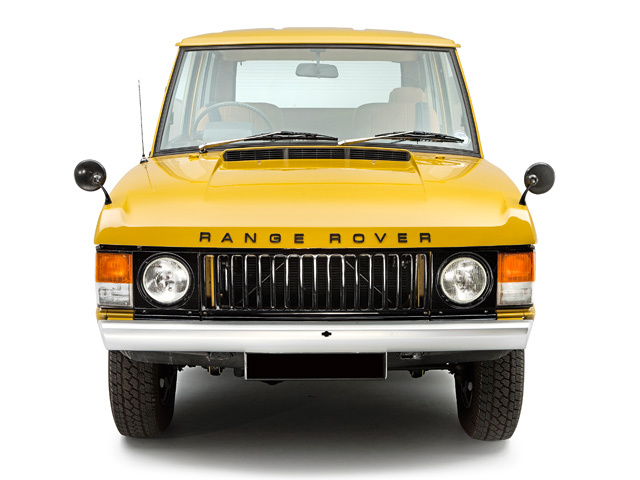 Here are our top tips on things to consider when buying a Range Rover Classic. Discuss prospective buys on our message boards, too. The two-door Range Rovers have the lovely ex-Buick 3.5-litre V8 and simple carburettor fuelling: injection didn’t arrive until 1985, when 2dr production for most markets, including the UK, had finished – the exception being the 1990 limited-edition CSK. The all-aluminium V8 suits a Range Rover perfectly – because it’s not too heavy the car is nicely balanced, and power output is lovely and smooth. They can be good for 300,000 miles if treated properly. But they do need their oil changing on time. If not, the engine gets gummed up, oil doesn’t get round properly, and cam and followers wear. Always try to see a car with engine cold. If there’s cam wear, the valves can’t open to their full extent – then it’ll be difficult to run when cold, calling for much fiddling with the choke. Expect good power – if not, the bores may be worn. Let the engine idle for a couple of minutes, then rev. Blue smoke is worn bores (burning oil). Black smoke is over-fuelling, white smoke means there’s water (cracked bores, head gasket split etc). All except the very last cars have the LT95 ‘long stick’ combined gearbox/transfer box. It’s good and strong, if slightly agricultural. Selection should feel precise and there shouldn’t be any jumping out of gear. Don’t forget the central diff. Drive a tight circle. If it’s easy, good. But if the front wheels are skipping, that’s transmission wind-up – the centre diff is failing. If engaging gears is difficult, the clutch may be coming to the end of its life. That’s a big DIY job. The sturdy three-speed Chrysler autobox was introduced in 1982 but was replaced by the five-speed LT77 gearbox plus LT230 transfer box in 1983. Watch out for noise and jumping out of gear on high-mileage cars, and avoid tow vehicles. Live beam axles with long-travel coil springs and telescopic dampers give a wonderful ride although the car leans over when cornering and standard springs can go soft fairly quickly, which doesn’t help. Rear-end ‘clonk’ noises are worn A-frame bushes and ball joint, and generally woolly handling means worn bushes. Wheels were always 5.5x16in silver-painted steel – hard to find now in nice condition. Three-spoke alloys appeared in 1980, but for In Vogue four-doors only. The all-round discs should pull the car up very smartly. You’ll find some vehicles fitted with cheap components and suffering from nasty work by previous owners. Luckily anything can be fixed and parts are available. Pay attention to pedal feel, if the pedal is pulsating you’ve got warped discs. Calipers areoften stuck and discs corroded but the days of paying a fortune for good-quality calipersare long gone, so just replace them. Power steering didn’t become an option until 1973 and wasn’t standard until 1980 (except cheaper ‘Fleetline’ models). Look out for leaks and check pipework for perishing. Check the steering on the test drive. Steering should feel light and accurate, unless unsuitable tyres are fitted. If steering needs constant correction that could be down to a worn steering box, worn steering ball or just general wear and tear. Problems aren’t usually difficult to fix, but a front axle rebuild can get expensive. You’ll be able to do any diagnosis with a simple multimeter – in many cases, just a test lamp. New headlights will make a big difference to many cars, but if the rear sidelight/indicator units have a black line top and bottom, they may be hard to find. Compared to a modern car, electrics are simple. Wiring is often damaged or botched, in which case replacement is the best option. Plenty of potential for rot! Check the chassis thoroughly, especially the rear. Rear body-to-chassis mounts corrode away: sometimes there’s little holding the body to the chassis. The body can be lifted off for repairs, but it’s a lot of work. Rust caused by wheelarch spray continues into adjacent steelwork. Sills rot and rust spreads into the floor. Lift the boot carpet to reveal the extent of any rear floor disintegration. Bodyshells may be structurally weakened: lift the door and see if there’s any play in the hinges or movement in the A-pillar. Not all outer panels are available and the supply of scrap cars has just about dried up. All UK 2drs (except CSK) should have a metal vertical-slatted grille but watch out, some were ‘modernised’ with plastic horizontal-slatted grilles later in life. If the car you’re viewing needs external bodywork repairs, you’ll need to factor in the cost of paintwork. The first of the upmarket In Vogue models in 1981 were two-doors. General interior improvements and leather on production cars began in 1984 – the year the two-door was discontinued in most markets. Trim can be sorted out on an DIY basis, but some original interior items are hard to find – and missing bits can spoil an otherwise good car. SLOWEST TOP SPEED 95mph, auto (1982). Get the full low-down sent direct to you by email. 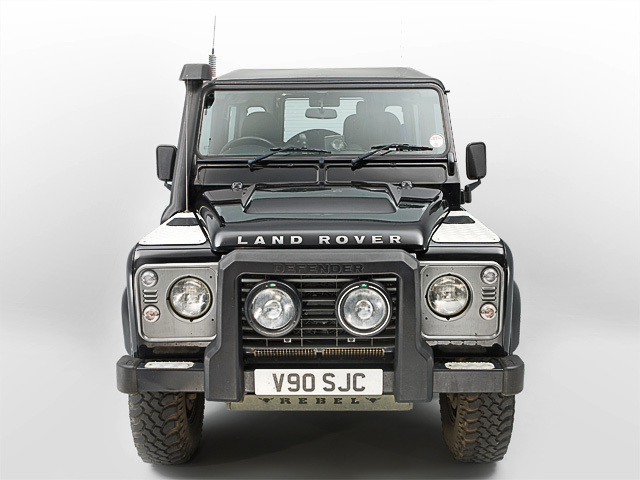 Here are our top tips for buying a Defender Td5. Discuss prospective buys on our message boards, too. For a full low-down on what the experts look for, take a look at our LRO Buying Guides. See below for details. Compared to the previous 300Tdi you get another 11bhp and 26lb ft thanks to clever injection technology. There’s enough torque to make frequent gear-changing unnecessary. Timing is by chain, not rubber belt. The diesel filter is under the rear wheelarch; it’s quite common for its bracket to break off. However, DIY repair is straightforward. Cylinder heads crack around the injectors on vehicles with engine number prefix 10P. A symptom is diesel in the sump; the oil level rises and the dipstick smells dieselly. The engine might run-on after switching off, which can be very serious. Engines with a number starting 15P don’t have problems, and vehicles with ’52 registrations or newer will be ok. Check the paperwork to see if early vehicles have been rectified. The heads were originally positioned with plastic dowels, which meant the casting could move fractionally. This could disturb the head gasket seal, resulting in coolant loss and overheating. Steel dowels were used from VIN 2A622424. Check the service paperwork to see if earlier engines have been fixed. A bolt retaining the oil pump sprocket can come loose – sprocket comes off, no oil, goodbye engine. Bolts should have been fitted with a thread-locking compound but often weren’t. If the job hasn’t been done, do it as preventive maintenance. Fuel pressure regulators are a typical Td5 issue, they leak – there’ll be a smell of diesel, and wetness down the back of the engine. Crank position sensors sometimes go faulty, causing bad running, but they’re cheap to replace. Look out for water leaks. Check where the pipes clamp, under the water pump, for wetness and colour from antifreeze stains. Some replacement radiators were suspect quality and developed joint leaks, so check the radiator. Finally the old favourite: injector-harness, which goes right under the engine’s cam cover, connecting to electronic injectors. Oil is drawn through the bundle of wires by capillary action, works its way to the ECU plug, gets on the plug’s connectors and the electrical connection is spoiled. Symptoms include rough running and oil visible when you pull the ECU plug off. The R380 gearbox and LT230 transfer box are old favourites and have been thoroughly debugged. Check the seal at the back of the transfer box, as oil gets on to the handbrake. Clutch noise could be caused by the clutch spigot bush. You could change it but a lot of customers just put up with it if they can. There have been cases of Td5 dual-mass flywheels cracking, or failure of the cushioning springs. Symptoms include vibration through the gearlever that’s not attributable to engine vibration, harsh or uneven clutch take-up. Always check the flywheel – if there’s a lot of movement on it, replace it. Gears should select cleanly. The gearbox shouldn’t feel sloppy and should be generally quiet, though you may hear just a little transmission whine from the transfer-box. If you’re looking at a tow-vehicle, do the kangaroo test by going on and off the accelerator. That reveals transmission backlash. Typically there’ll be wear, but it’s all fairly simple stuff apart from the A-frame balljoint. It’s mostly DIY, and can make big improvements. The rubber bushes on the rear shock absorbers seem to go but they’re only pence, easy to change. Make sure the Land Rover handles precisely and goes where it’s pointed. Serious deterioration of bushes can result in a degree of rear steering as the axles get out of alignment. If the vehicle has a raised suspension drive it for a while to see how you get on. Look at the discs. There should only be rust at the outside edges. If the ABS light won’t go out, that’s commonly a simple earth fault. Very often owners don’t notice brake problems. Rear calipers can stick on, or get full of mud and seize. It’s easy to see leaks – oil and grime under the steering box. Seal kits are a waste of time, instead fit a reconditioned box. Vagueness in the steering will be the drop pin, the first thing after the steering box. They wear pretty quickly, which means a lot of play at the wheel. Front axle swivels don’t show leakage like earlier models because they’re filled with semi-fluid grease, but can still suffer from internal wear. The pipe between the power-steering reservoir and pump can also chafe on the lip where the sump bolts to the engine, eventually wearing right through. Despite the introduction of electronics, you’re unlikely to get any serious electrical issues, apart from oil ingress at the injector harness (mentioned above). You need a good earth from the engine and gearbox to the chassis, or you might get all sorts of weird and wonderful problems – lights on the dash, battery light comes on dim, heater plug lights, all sorts. The engine ECU in the right-hand seatbox is a concern when wading. It can be re-located on the inner bulkhead between the driver and passenger seats. Rear crossmembers are the most common rust areas. Never take a Land Rover chassis for granted – inspect it carefully. Bulkheads aren’t so bad as Tdi examples, but they still need checking all over. On the steel-and-aluminium doors, the steel frame rusts away at the bottom. Check the door frame nearest to the handle, as they crack here. Station Wagons need to be genuine to command Station Wagon price – many 90s have been updated with windows, so check the V5C. In certain postcodes, some insurance companies simply won’t insure Defenders due to the ease of theft. Even if you invest in thief-proofing, lowlifes will quite likely cause damage having a go. Basic and functional. A re-trim is DIY-possible. The usual front-cab configuration is two front seats and a cubby box, though it was possible to specify a middle front seat. If there are electric windows, make sure they work. Door seals often leak, so replace them with Genuine Parts seals. TOWING CAPACITY (trailer with over-run brakes) 3500kg. CO2 EMISSIONS 1998-2001 = n/a; 282 g/km. £210, 90 van 2002-07; £215, 90SW and van 1998-2001; £260, 90SW 2002-05; £460, 90SW 2006-07; £210, 110 van 2002-07; £215, 110SW and van 1998-2001; £260, 110SW 2002-05; £460, 110SW 2006-07. Here are our top tips on things to consider when buying a Series IIA/IIB Forward Control. Discuss prospective buys on our message boards, too. Three engines were fitted to the Forward Control: 2286cc 4cyl petrol; 2286cc 4cyl diesel; 2625cc 6cyl petrol. 2.25 diesel – Even in tip-top condition a diesel is barely tolerable performance-wise, and incredibly noisy – they’re for diehards only. 2.25 petrol – Less desperate – not quite so noisy, they’re less critical on timing, and the least difficult to maintain but setting the points, for instance, is still awkward. 2.6 petrol – Best – though thirsty. Rover’s 2.6-litre, straight-six, long-stroke inlet-over-exhaust petrol engine is nicer to listen to and pulls the Forward Control along fairly adequately. Gearbox problems and symptoms are the same as for any Series II/IIA. The engine is nearer to you, so if you’re hearing gearbox noise that’s not good news. Check the clutch operation carefully, because doing any work on it is tiresome. Replacement springs will need to be commissioned from a spring-maker, at upwards of £150 per spring. Dampers may well be shot – nearly impossible to tell on a Forward Control until you have a load on board. Wheels are 6.5Jx 16, with more outside-offset than standard. Check the IIB rims carefully – they’ve been known to split apart. Avoid the bar-grip tyres – they can let go suddenly on wet roads. Most problems are down to neglect and lack of use. Brake problems are same as for any Series – corroded brake lines, aged flexi-hoses, wheel cylinder adjusters that are seized and snap off when a spanner is applied, scored drums, tired or oily linings, fluid that hasn’t been changed in living memory etc. If the steering box or relay haven’t been kept topped up with oil, wear develops – and play becomes apparent at the steering wheel. The steering must be up to scratch – just driving a Forward Control requires all your concentration, without fighting the steering. Electrics are all standard Series. Light units are often dull and dodgy, but easily and cheaply replaced. Since Forward Controls spend a lot of time out of use, irritating problems caused by corroded terminals are common, but diagnosis and fixing is straightforward. They may not be so rusty as standard models because they’re higher up, but they can still rot. For bodywork, what you want is completeness. They were supplied with a drop-side back body, fixed-side back body, chassis-cab or simply as a driveable chassis. If a factory back body was fitted but is now missing, that affects the value a lot. Replacement panels are unavailable, and scrapper Forward Controls are few and far between. The cab area is simple and uses parts from contemporary models. Everything is fixable. Be honest when trying out a Forward Control – if you don’t suit the driving position you’ll be uncomfortable – maybe even dangerous. Blasting more than two tonnes of Range Rover Sport along a gravel rally stage, thrashing it across twisty B-roads and plunging it into the muddy waters at Eastnor Castle, nothing has upset its composure. In truth, nothing has even come close to challenging the newest, sportiest kid on the Range Rover block. It’s like one of those irritating kids at school who is brilliant in class, similarly gifted on the football pitch and a hit with the hottest girls. Except, you can’t hate this Sport – it just leaves you totally in awe of it. Pitched between the Evoque and the L405 Range Rover, the new Sport deserves to banish the Chelsea WAG stereotype of the outgoing model (even though London’s glitziest streets will be teeming with them before you know it). This is our first proper drive: in a production car, on UK roads. Our multi-terrain test starts on the outskirts of Cheltenham, with more than £80,000 worth of 503bhp 5.0 Supercharged Autobiography Dynamic fired up for a run through the Wye Valley and up over the Brecon Beacons into Powys. The fastest production Land Rover ever, it’s riding on 21-inch alloy wheels with 275/45 R21 Pirelli Scorpion Verde all-season rubber – all new Range Rover Sports come with mud-and-snow tyres as standard. Continuously variable dampers are standard across the board too, but Dynamic trim means you get the top-spec twin-channel active roll control, and the Sport’s new gizmo: torque vectoring by braking. More on that in a mo. The new lightweight aluminium monocoque L494 Sport was developed in parallel with the full-size L405 Range Rover, and inside you could be forgiven for thinking they’re identical. But in detail they’re not. The steering wheel has a 15mm smaller diameter and the seats are more aggressively contoured, while anyone familiar with the now ubiquitous rotary dial transmission control for the slick-shifting eight-speed automatic gearbox should prepare to be flummoxed by the Sport’s more conventional-looking lever. Although it’s designed to give a more sporting feel, and the option of manually overriding without using the steering wheel-mounted paddles, you have to press a fiddly ‘unlock’ button to engage drive or reverse – and park is a separate button on top of the lever, rather than a further push beyond. Master that, though, and you’re in for a riot. The supercharged petrol V8 engine is a stonking lump that crackles and rasps manically like a Mad Max extra when you want it to, pulverising straights, or it’ll purr away imperceptibly when you’re not in the mood. It’s all too tempting to want to scurry around in second gear all day, just to hear the V8 in full voice – unless you’re paying the fuel bill. What impresses most is the Sport’s fluid body control, especially over crests – it’s as if the tyres are pawing at the surface of the road to sense the rate of drop-off and cushion your fall. The ride is beautifully damped – just firm enough to communicate the nuances of the road surface without jarring your spine, even with Dynamic mode on the Terrain Response 2 dialled in. Clamp the Brembo brake calipers around the 385/360mm front/rear vented discs and the Sport’s double-wishbone front/multi-link rear suspension resists pitching brilliantly. The only thing that slightly underwhelms is the electric power-assisted steering. It’s nicely weighted, with quick responses, but lacks the same level of connectivity you feel with a regular power-assisted set-up. I haven’t mentioned grip or torque vectoring yet, have I? The time is now. The Sport’s high grip levels on tarmac are one thing, but its traction on gravel really is something else – as a high-speed blast through a forest rally section of the Sennybridge military training range illustrates. Go too fast into a corner, whether on tarmac or gravel, and you expect the nose of a still fairly hefty vehicle like a 2.3-tonne Sport to push wide with understeer. But thanks to torque vectoring – an electronics system that works with the active locking rear differential and Dynamic Stability Control (DSC) system to sense understeer coming – torque is sent to the wheels with the most grip. You feel it tightening the line of travel and effectively helping steer the vehicle in the direction you want to go. Not only do you have a better chance of staying on the road, but you can corner quicker too, and there’s no snatching of brakes that you might expect. The faster you go, the more pronounced the sensation and the more alive the Sport feels. How does that translate into the lighter 2.1-tonne SDV6 – the engine that will account for most UK sales? I find out on the run back towards Land Rover’s proving ground at Eastnor Castle. Another Autobiography Dynamic-spec vehicle, costing about £6500 less than the Supercharged (it starts at £74,995), it’s identical except for the 292bhp 3.0-litre twin-turbo SDV6 diesel, which gives about 15mpg more. You have to sacrifice the Supercharged’s aural treats – the SDV6 is more coarse and gruff-sounding – but I have high hopes for the SDV6 Dynamic, having been blown away by how the same basic engine (a 254bhp version) transformed the feel of the L405 Range Rover over its V8 brethren. The SDV6 Sport gets the brilliant active roll control that L405 TDV6 buyers are denied. As with the L405, you immediately notice the lack of mass at the front end, but in the Sport the nose of the V6 feels almost too light and floaty by comparison to the Supercharged. It’s still stunningly rapid and well-mannered on a cross-country drive, but perhaps the mass of the V8 motor helps press the nose of the Supercharged into the ground. The damping is well up to the job of controlling the mass, that’s for sure. Surprisingly, given the weight difference, the suspension set-ups are identical on both SDV6 and Supercharged Dynamic models. It’s a shame, but it feels like there’s a few per cent of bite lacking, which makes the SDV6 feel marginally less confidence-inspiring when you’re pushing on. Perhaps the 4.4-litre SDV8 due 2014 will offer the best of both worlds. On to Eastnor, to find out how the Sport cuts it in the rough. This SDV6 has a two-speed transfer box, so you still get to play in low range. But lower-spec models can be had without the second ratio and a Torsen diff, making off-roading more challenging, though no less capable than the outgoing two-speed L320 Sport. Starting off in muddy, rutted hill climbs into the woods, then pushing through moderately deep water, the Sport is completely unchallenged. It’s just under 1.8 metres wide (1780mm) and the door mirrors are huge, but it’s very agile and has reasonable approach and departure angles – 33º front/31º rear. And, it benefits from a tightness of turning circle that a Defender 110 can only dream of. What the water sections do reveal is the new Wade Aid function on the info display. Cameras in the undersides of the mirrors calculate the depth of the water you’re driving through, up to a maximum speed of 6mph. The depth is represented by a blue bar rising up the side of the vehicle pictured, and the system emits a parking-sensor-like bleep to tell you when you’re approaching the 2ft 9in (850mm) maximum wading depth. As with the rest of the 4x4i info (such as whether diffs are open or locked, and how the wheels are placed), Wade Aid is handy, but not something you can really focus on – mostly, you’ll be concentrating on looking ahead. Climbing out of the woods on to the gentler pasture and farm tracks that criss-cross the highest point of the Eastnor estate, the Sport feels right at home. There’s just one sheer drop to go. The Sport’s Hill Descent Control (HDC) now gets its feed from the on-board gyroscope, so it knows when you’re on a hill – and operates only when you’re on one. And, as it’s tied to the Gradient Release Control, descending steep inclines is a smoother operation than before too. The way 2.1 tonnes of metal can, at a constant speed, inch down a slope that would be too steep to walk down is awe-inspiring. To compare the new Sport in any way with the outgoing model seems futile, really – the new model is such a huge step forward in every area. Not only is it lighter (420kg lighter like-for-like on the SDV6), it’s more spacious, more refined, faster, more agile and more economical. And with a seven-seat option now available, it’s become a more versatile car than ever before too. But best of all, it makes you feel like you can go anywhere and do anything. It’s heroic. It’s everything a modern Range Rover should be. It is the only car you’ll ever need. A baby Range Rover – that was clever thinking, and the Evoque went straight on to many car buyers’ wish list at first sight. At first, customers were ordering without even taking a test drive. For a while they sold so fast that main dealers couldn’t keep them on their forecourts, and Halewood worked extra shifts to keep up with demand. It’s a smaller package, but there’s no dilution of Range rover brand values. In other words, you get the style and comfort of a big premium car but in a medium-sized vehicle. Driving is pure pleasure: handling, acceleration and braking are spot-on, though vision can be a problem when manoeuvring. Off-road, ground clearance and anti-roll bars limit articulation, but traction is impressive. Here are our top tips for buying a Range Rover Evoque. Discuss prospective buys on our message boards, too. The 2.2-litre diesel engines are essentially Freelander 2 units, updated in 2011. There are three diesels: 148bhp TD4 basic; 148bhp ED4 2WD version with recalibrated fuel injection and reduced fuel flow rates for enhanced fuel efficiency; and 187bhp SD4. The SD4 is desirable – but other buyers think the same, so you’re unlikely to find a bargain. Diesels are common fare, but petrol-engined Evoques aren’t hard to find. If you want to wind things up, check out the 236bhp turbo petrol Si4. Do a thorough test drive, get a proper servicing record and a warranty. You’re unlikely to hit problems, though. Hesitation under light acceleration (usually a summer issue) will be an engine ECU calibration issue – it’s a half-hour software fix, costing around £60. Check under diesels for sump oil weeps near the gearbox; the fix costs around £450. Another possible leak is the rear main crank seal; this means the gearbox will need to come out, setting you back about £700. For 2012 and 2013 model-year Evoques (VIN639806 to 816769), recall campaign P033 should have dealt with diesel leaking from the spill-rail spigot to the spill return pipe connector joint. Dealers should have handled a variety of other fixes as a matter of routine. From autumn 2013, six-speed manual and (for four-wheel drive only) nine-speed auto were on offer. Petrol models got Active Driveline, which selects 2/4WD as necessary and features a rear axle with multi-plate clutches to control drive to each wheel. Earlier Evoques have six-speed gearboxes (manual and automatic) and Haldex four-wheel drive. Both six-speed boxes have a good track record. Automatics have no gearlever. Instead, a rotary dial automatically rises from the console at start –up. Some owners don’t find it intuitive to use, so decide on your test drive whether or not you can live with it. Two-wheel-drive Evoques are 75kg lighter than the 4x4s, and with the differently optimised (and less responsive) eD4 engine can achieve 50mpg-plus. 2WD is surprisingly capable on ice and snow, but you’ll probably want a 4x4 if you intend to drive off-road regularly. Evoques haven’t suffered from Freelander diff-pinion wear – the improved Haldex system seems good, so far. Check manual gearboxes for smooth selection; there have been very occasional problems with the selector mechanism. Also look out on manual cars for transmission vibration or poor clutch take-up, and listen for a light rattling sound – they’re all symptoms of gradual dual-mass flywheel breakdown. The Evoque rides on coil springs; there’s a long-travel MacPherson strut with lower control arm and anti-roll bar at the front, strut assembly with lateral and longitudinal links plus anti-roll bar at the rear. Road-holding is good, but not at the expense of comfort. A badly kerbed car may have misaligned tracking (a symptom is one tyre with a scrubbed edge), in which case four-wheel alignment is needed. A common problem is that insufficiently tightened bolts allow the lower arm balljoint to move in the hub, so get someone to turn the front wheels slowly while you listen for clicking/squeaking. Don’t presume there’s a spare wheel – it’s optional equipment. The brakes are excellent, but teach yourself how to use them gently or you’ll terrify drivers behind you. Brake pads should last 30,000 miles. Brake fluid needs changing at three years. Check everything works properly and that the car pulls up straight. Steering and handling are delightful, unless something’s wrong. The driving experience is nearer to a sharpened-up Freelander than the waft-along serenity of a full-size Range Rover. Self-park (parallel parking) is worth having because vision out of the Evoque from some angles is difficult. Look under the steering rack for a white plastic marker inside a big nut, held in place with salt crystals. If water gets into the rack, the salt dissolves and the white marker moves. 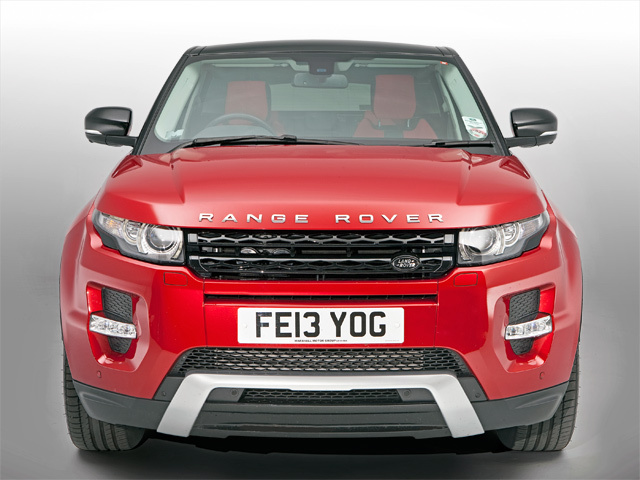 The Evoque has more than 80 electronic modules, so there’s plenty of scope for problems. Inoperative stop-start on Eco models is a free rectification and crackling speakers are also fixed free. Some cars built in the first six months or so of production developed faults with the reverse camera. Minor parking bumps can also damage cameras, so examine them carefully. Expect to have a non-working smart-key if you keep it next to your mobile phone. If possible, check through the manual and try every function twice – finding problems later is expensive. The Pure is the simplest Evoque version and the Prestige is the upmarket extra-trim version. The Dynamic majors on performance and handling. There are 12 exterior colours, three contrasting roof colours, 11 types of wheels from 18in to 20in, fixed roofs, sunroofs,a full-length panoramic glass roof, and a choice of three or five doors. The bottom of the windscreen pillar and a hefty external mirror create a sizable blind spot. Raising the seat helps, but may not suit shorter drivers. That stylish rear-end styling sacrifices vision too. Listen carefully on your test drive, the design and size of the external mirror and its mount mean any small gap will cause wind noise. Cars with lower spec interiors but in really nice condition are likely to see least depreciation during your ownership. Examine the trim thoroughly for marks and damage, and think how you’ll be using the car – kids scrambling in and kicking the door-cards will cause massive depreciation. If you can, find a car with full-length panoramic glass roof (plus electric fabric sunblind and solar reflective coating). It makes the interior so light that all other car cabins seem dark. Check the parcel shelf, because the lift pegs can come adrift. In addition, the shelf may rub paint off the tailgate. There have been issues with tailgate modules, release switches, power struts and occasionally, trapped wiring, which can trigger all sorts of symptoms. Door latches can fail (similar to the Discovery), so check they all work properly. A few of the earliest cars had issues with headlining when a piece of sound-deadening material glued to the roof fell off and could be heard sliding around above the headlining on acceleration. It should have been fixed now, but listen out for it. You can’t mistake it, either, thanks to the rear lights and a front grille dressed with two silver honeycombed bars that look like structural supports from a spaceship. There’s no petrol engine option for the UK this time, although some markets have a sumptuous 5.0-litre version of the Jaguar V8. The old 2.7-litre TDV6 clung on for another year in more-basic-spec models, and if you wanted a Discovery 4 with a manual gearbox, you had no option but to choose a 2.7-engined version. But the headline news was the arrival of a significantly more powerful 3.0-litre TDV6, with a revised and improved adaptive six-speed automatic gearbox. When the 2.7-litre was dropped in 2010 so was the manual gearbox: for the first time ever, the Discovery was available only with an automatic transmission. 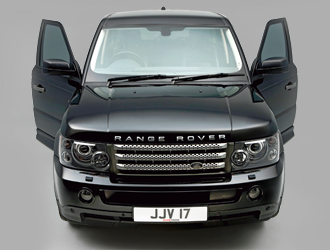 The TDV6 assumed base-model duties and the mighty, twin-turbo SDV6 took over the top slot. 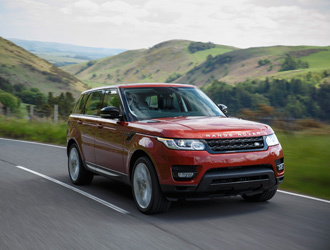 The new engine offers more than double the torque of the original Discovery 1’s 200Tdi motor – and that was lauded as being a big step up from the existing Land Rover diesel engines of the time. The SDV6 was upgraded further in July 2011, with extra horsepower but lower torque to help reduce emissions. More important at this point was the arrival of an eight-speed ZF automatic gearbox. It has a rotary gearshift selector and changes gear in an almost imperceptible 200 milliseconds. The interior was completely restyled and trimmed in even higher-quality materials. Step between the two Discoverys and you know straight away that you’ve gone up another level again. Everything that was painted silver before is now polished aluminium (or at least looks like it), materials are more tactile, and fit and finish is improved. Even the base models now feature direct connection for iPods, trailer stability assist (TSA) and a keyless push-button start. Higher up the range you get a reversing camera that uses the new 5in in-dash display screen, eight-way electric memory seats, automatic headlamps and rain-sensing wipers, and many other goodies. LRO rates the Discovery 4 as the most versatile of all the range, capable of dealing with anything thrown at it, from long-distance trips to mud-plugging; the most complete family car you can buy. EGRs. They're still playing up, so bear that in mind on higher-mileage examples. Clutch. The manual 2.7s are struggling with the extra weight and technology: there are cases of some failing after just 65,000 miles of normal use. Some that have been subjected to a lot of off-roading needed a replacement clutch at 25,000 miles. Check for any slippage under load. Have a sniff outside the car for the tell-tale acrid smell of burning clutch. Keyless entry system. There are plenty of reports that it's packing up, and Land Rover is still seeking a cure for this. Reversing camera. A frequent complaint along with the steering-angle sensor. Brake pads. They wear fast and need changing regularly. A life of just 15,000-20,000 miles is pretty normal. It's a luxury car, but V8s are thirsty, diesels are noisy and many range rover Classics have been run on a shoestring. They can rust spectacularly, too, though not all are bad. Choose carefully and choose well and you'll get a lot of car for the money. But does buying one make sense? 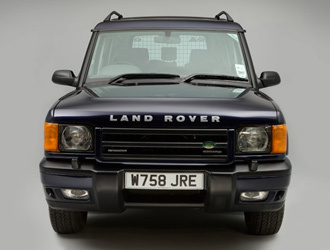 Here are our top tips on things to consider when buying a Range Rover Classic. Discuss prospective buys on our message boards and for the definitive view, get an LRO buying guide. See below for details. Bore cracking. Can be an issue on 3.9 and 4.2 engines along with liner movement. Top-hat liners fix them, but that means a total engine stripdown and may be more expense than the vehicle is worth. Blocks. Can crack, so check for coolant consumption, overheating and system pressurisation. Look out for coolant staining in the engine bay, a new header tank (or one with oily residues) or recently replaced hoses. Feel the coolant hoses after a drive to see if they feel solid (pressurised). Often the lower block components survive so a good clean-up and replacement cam and followers will improve many engines. It's not an expensive undertaking. Oil changes. A V8 won't tolerate cheap oil or skimped changes – it'll sludge-up and wear fast. At cold start, engine rattling could be low oil pressure or gummed-up oilways (a worn V8 cam normally rattles constantly). Rattling could also be symptomatic of wear in other places. Oil pressure relief valves can stick, giving low oil pressure. If possible, change the oil every 3000 miles. Fuel & ignition systems. Fuel injection pumps and relays fail, and pump earthing corrodes. Ignition amplifiers give problems, leading to a no-spark scenario. Distributors wear, causing poor running, timing issues and excessive fuel consumption. VM cylinder heads. There have been cases of them lifting, maybe resulting from missed-out torqueing of the head bolts. Some head bolts pulled their threads from the block (solution: helicoiling). These engines are fine if properly looked after: maintain coolant levels religiously. The four heads have to be removed and replaced together since they share hold-down bolts. Timing belt. There were some timing-belt alignment issues on 300Tdis, but all engines should be remedied now. Check the belt has been changed at the specified interval, or change it immediately. Clunking. If the Range Rover has been a regular towcar, pay special attention to the transmission – it's where all the heavy usage will show up. LT77 and early R380 boxes suffered premature mainshaft wear. Lift on and off the accelerator and check for the telltale clunking. Push the sliding-spline section of the propshaft up and down to detect wear. Crunching. R380s shouldn't crunch when changing down from third to second – if they do, that's second gear synchro wear and means a gearbox strip to fix it. Have air-suspension system failures diagnosed at a specialist. Some owners prefer a coil-spring conversion, though airbag replacement isn't as costly as it once was. The system must be completely depressurised using correct diagnostic equipment, or there's a risk of injury. 'Tail-wagging' and body roll. Often looks worse than it is, but different springs can stiffen suspension. Standard suspension is good but needs good-condition bushes to function perfectly. Airbags. They crack and become porous where they flex. The air pump will run continuously to keep the bag inflated, and burns out. Valves. Can jam in the air valve block. Cleaning sometimes works but a good reconditioned unit is best bet. Relays stick and height sensors fail. System drier. Find out when it was last changed – moisture leads to sticking air valves and valve block failure. Original wheels. Aftermarket wheels and wider tyres have been so commonly fitted that originals are not too common – find, buy, refurbish and refit them if you can – it'll make your period Range Rover look as it should. ABS. A common fault is an incorrect gap on the wheel speed sensors, which usually illuminates the dash warning. Incorrect air gaps can also cause pedal 'kick back' on first application – when the dash warning doesn't always show. Consider replacing the flexible brake lines and inspect metal brake pipes, especially above the chassis where they corrode unnoticed. Braking should otherwise be very powerful and smooth and is easy enough for DIY maintenance. Flexible pipework. Check for perishing. Steering box mainshaft seals. Can leak: a seal replacement kit may fix it, but a reconditioned box is a widespread solution. Steering shake. Shake on rough roads can mean incorrect swivel-pin load, and / or worn radius arm bushes. If these are all fine, consider a gas steering damper such as Koni or Old Man Emu. Wobble at higher speeds on smooth roads is more likely to be caused by warped brake disks. Check the loom isn't deteriorated or bodged, and everything works. On earlier cars a £10 multimeter will do your diagnosis; fixes are DIY. Faults. Seat switches and control units often show faults. The memory seat ECU battery leaks on to its circuit board, causing failure – seats work intermittently or not at all, and mirrors won't adjust. Components are available and there's quite a lot of information on the web. Chassis rot. A Classic can look decent, but be horrible under these external panels. It's most likely over the rear axle, though the chassis doesn't rot as badly as on Defender and Series. Check the bodyshell thoroughly – carpets out, crawl under with a torch, look behind everything. Anywhere below the waistline, panel joints corrode. Mounting points. Where the body bolts to the chassis can be bad, sometimes there's almost nothing holding the body on. Rear floors. Can corrode badly and aren't available anymore. Joining two Discovery floors is one way to go. Wheelarches. Check the front ones, door-pillar bottoms and footwells. Many cars need new sills. Open the rear doors and check the wheelarches – look underneath, too, where the seatbelts mount (potential MoT fail). Tailgates. The bottom tailgate lower edges corrode. Check inside for a disintegrating upper tailgate. A good lasting solution is an aluminium tailgate frame. Paint blistering. Check under the windscreen rubber seal as this is a common rust trap on 1991-94 models. Sometimes there's very little holding the screen in place and repair is difficult. Bulkhead. Check the bulkhead under the bonnet where the brake pipes run: most people miss this, but rot hides here. Don't think you can do a body-off job simply, the way you'd do with a Defender – on a Classic, that's a huge amount of work. Damage to trim or seats. There's very little new-old stock available and it's difficult to find good-condition used items. For detailed pricing info see the latest issue of Land Rover Owner International magazine. Seven-seaters are best, thanks to forward-facing third row (Discovery 1 has side-facing jump seats). Problems with the air suspension are common. Look out for terminal chassis rot, but body rust not such a problem (unlike Discovery 1). the Many have led an easy life. 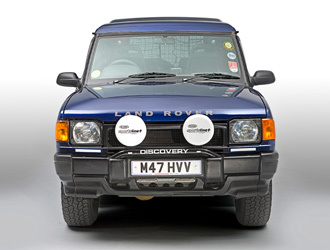 Here are our top tips on things to consider when buying a Discovery 2. Discuss prospective buys on our message boards and for the definitive view, get an LRO buying guide. See below for details. Cracking cylinder heads. A problem on Td5s with more than 100,000 miles. Td5 oil pump bolt. This can work loose and come undone, which means the oil pump sprocket comes off and does considerable damage to the engine. Spark plugs. Check for white deposits on the V8 – could be a sign of cracked cylinder block or liners. Smoke. Look for blue oil smoke, black diesel smoke (overfuelling), heavy black diesel smoke (failing turbocharger) or white smoke on starting (water in the bores). Rear self-leveling air suspension (SLS). Check which type of rear suspension is fitted and, if it is SLS, that the airbags aren’t cracked and the vehicle stands ‘square’ and level as it should be. If there is a problem with the airbags, you can repair the vehicle or purchase a kit to convert the rear to coil springs. Dashboard warning lights. Are the electronically controlled functions (electronic traction control, active cornering enhancement, electronic brake distribution, Hill Descent Control etc) working as they should be? Fuel injector wiring harness. Can leak and allow oil to travel along the loom and into the ECU, causing poor starting, misfiring and rough running. Hub sensors. Sensor faults are common and are usually caused by worn brake pads. Check wheel hubs for play to avoid problems. ACE (Active Cornering Enhancement). Pipes are showing corrosion on early models. Can be seen behind the off-side front wheel. The ACE filter should be replaced at 72,000 miles and is located in the bottom of the ACE valve block on the right-hand chassis rail. It’s accessed by undoing the cap and then withdrawing the filter. The upturned section of the rear chassis immediately forward of the rear crossmember is prone to rusting. This can be welded but is structural so it’s an important MoT item – check carefully. Headlight theft. Pre and post-facelift models command different prices because of the perceived benefit of the later models, although there has been a spate of thefts of the later headlights from facelifted models as the parts can be fitted to earlier versions – and if yours are stolen, it’ll cost you £600+ to replace. Sunroof. Awkward to fix if it’s leaking – and it’s probably not just that the sunroof seals have failed. Here are our top tips on things to consider when buying a Range Rover. Discuss prospective buys on our message boards and for the definitive view, get an LRO buying guide. See below for details. Whining. The turbochargers on some Td6s whine, indicating it’s time for a new turbo. Oil leaks. The oil filter O-ring seal has been known to fail. Check for leaks. Gearbox failure. A reluctance to shift gear or the illumination of dashboard warning lights are obvious clues. Not all garages will rebuild the auto gearbox – but K Motors in Lancashire (01772 299811) does, for about £2000. Low range selection. Check low ratio engages properly. The motor that moves the linkage can seize up if it doesn’t get used enough. Costs about £1000 to fix. Air suspension compressor. When test-driving, raise and lower the suspension a few times. The compressor for the air tank should be barely audible but if it’s grinding away it’s going to need replacing. If an error message appears on the dashboard, the compressor may be weak or an air spring may be leaking, and need changing soon. This is a common failing, but is relatively inexpensive and straightforward to replace, so don’t let it put you off ownership. Perished rear hub bushes. These connect the hubs to the wishbones and the usual symptom is a clonking sound from the rear suspension when travelling over bumps. Can be difficult to replace, and require special tools to push the bushes out, which means DIY replacement is not feasible for most. Worn brakes. The hefty L322 is heavy on its brakes. Check service history carefully and be prepared to replace discs and pads at 30,000 mile intervals. Kerb damage. Check the edges of the alloys for damage. Low profile tyres. Avoid vehicles with 22in wheels and low-profile tyres altogether: they affect the ride adversely and are prone to puncturing through being pinched between the rim and the kerb. Broken mirrors. Chrome mirror covers may look fancy but are often used to cover a broken mirror. Parking sensor failure. Can be costly to change: replacement components range from £30-£80. They can be checked very simply, by holding your hand over them one at a time while they are active and listening for the warning beeps. Bodywork. This is an expensive vehicle and should have been cherished. If the bodywork is tatty what else is wrong? Dashboard warning messages. If the voltage drops below 12 volts at any time, this can cause glitches with the warning messages on the dash so the battery should be kept fully charged. All warning lights should illuminate when you switch the ignition on, and then go out within a few seconds of the engine starting. If anything stays on, there’s a problem, but you should watch for anything not lighting up when the ignition is switched on. Dodgy dealers have been known to remove bulbs to disguise a potentially expensive problem. Fault codes. The cost of a pre-purchase diagnostics call-out (about £50) will be recouped during ownership and is well worth it. Have it plugged in and read, then take it for a long test-drive and plug it in again. Google any codes that appear - some are trivial, but don’t buy unchecked as it’s easy to make the faults disappear short term. Satnav updates. These cost about £150 so ask for the update from the dealer when buying. Adjustable column. The steering box doesn’t usually give problems, but the reach and height of the adjustable column does due to drive motors failing. Quantifying the cost of dealing with these problems is harder as it is wholly dependent on which electric fails. However, there is no shortage of the necessary parts available. General condition. Should be in excellent condition. If it's not look elsewhere. Seats. Do all the electrical adjusters work as they should? Here are our top tips on things to consider when buying a Lightweight. Discuss prospective buys on our message boards and for the definitive view, get an LRO buying guide. See below for details. It's not safe to assume the engine (or any other component) is the original. Many vehicles were fitted with reconditioned engines – check the rebuild plate (usually below and behind the oil filter housing). Rebuilt units are paint-sprayed all over, including the rocker cover. Running. Look for misfiring and rough running, it could be valve-seat recession. Condition. If it has been bodged and neglected, the owner probably hasn't been bothered to use good-quality oil and change the filters regularly. Mileage. Low-mileage 24-volt examples don't necessarily mean a low-hours engine – these often sat with engines running to power the radio for hours on end. Standard tests. Look for excessive smoke, listen for unpleasant noises, see if the engine pulls well up hills, etc. Propshafts. Push up at the centre sliding-joint to show wear, and twist both ways to feel any slack in the universal joints. Drive on and off the accelerator to encourage kangaroo-hops and feel and hear transmission backlash. Gear changes. Make sure changes are light and precise and listen carefully. Make sure it doesn't jump out of gear on over-run (the point between drivetrain no-load and engine braking). Axles. Flat-ended axles can weep oil from their ends. Can be fixed by careful brazing. Springs. A 12-volt Lightweight should have seven-leaf springs front and rear (fewer than a civilian). They can end up with cracked leaves. Oil. Check that there's no oil getting into the handbrake from the rear of the transfer box – thiscan contaminate parking brake linings. Brake lines. Check for corrosion and check the three flexi brake hoses for cracking or chafing. Slack. Jam one wheel against a kerb and rotate the steering wheel to feel for slack. Ball-joints. Check for play by holding them while someone else rotates the steering wheel. Swivel bearings. If they're worn, it'll affect the steering – check for knocking or rattling when driving over uneven surfaces. If the swivel is weeping oil, investigate by taking the gaiter off. Headlights. Should be military centre-focus type (look for the FV marking moulded in the glass). Early models have special rims allowing attachment of infra-red lens covers, later ones Mini-style trim bezels. With the dash-panel six-position switch in 'convoy' position, all lights are off except for a 'convoy light' under the rear, pointing at the white-painted diff. Check the switch isn't jammed. 24-volt vehicles are often bodged. It's all fixable, but best to plug into the enthusiast network for help. Rot. Check rear crossmember, front longitudinals immediately behind the bumper, bulkhead outriggers. Chassis. Condensation can corrode away the bottom of the chassis box-sections. Chassis number. Look for it stamped on right-hand front spring's forward mounting bracket, outside face. Check it's the same as on the V5C. Bulkhead top. It's detachable and they rust under the rubber seal between detachable top and bulkhead main section. Repair is difficult. Bonnets. Check for deformation under the strap-fixed spare wheel. Lashing points. Rear-body internal steel lashing points are bolted through aluminium bodywork. Check for bi-metallic corrosion, including outside where the bolt-heads show. Look under the rear wheel-arch, which extends up behind the body-side to form a narrow blind pocket where mud can stick. Identification plates. You should find these in the cab, usually on the dashboard or seatbox end – which will tell you quite a lot, including if it was 24-volt. If plates are not present, be wary: the vehicle might be a ringer. If there's not much inside – good, that means it hasn't been messed about and customised! VED RATE: Currently zero if built before January 1 1973, £215 after that date. But pre-Jan 1 1974 vehicles will be tax exempt from April 2014. 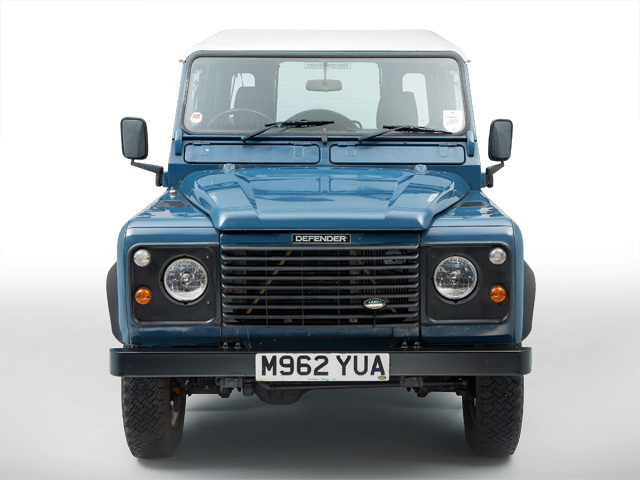 Here are our top tips on things to consider when buying a Defender 90. Discuss prospective buys on our message boards, too. 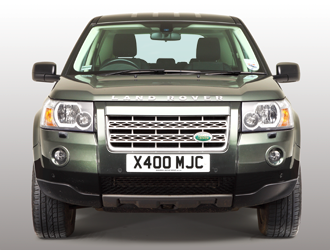 Here are our top tips on things to consider when buying a Freelander. Discuss prospective buys on our message boards, too. Viscous coupling. Its job is to allow the rear wheels to turn at a different speed to the fronts (essential when cornering), but if worn it will lock up and can damage the IRD. Wheels. Alloys are expensive, so make sure they haven't been kerbed. Rear window. This slides down a touch when the rear door is opened. Make sure the mechanism works. Bodywork. Front wings are plastic, so they can't be repaired with filler. Look for scratches in good light. Off-road damage. Ground clearance is limited, so if it has been off-road there could be some damage. 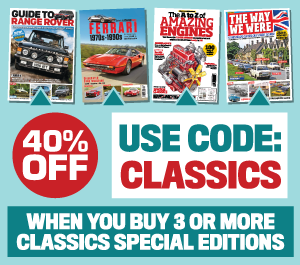 Get a Buying Guide full of vital advice and tips as a .pdf showing the original pages from our world-beating magazine. Cost: £5. Here are our top tips on things to consider when buying a Forward Control. Discuss prospective buys on our message boards, too. Exhaust. Manifolds are commonly cracked. Rover’s first major redesign of the original 80-inch Land Rover, the 86-inch was launched in mid-1953. The 86in and later 88in retained the simple, slab-sided look of the 80in but have more load carrying space and a less cramped driving position. They’re great vehicles, but buying something this old needs a lot of care. Here are our top tips on things to consider when buying a Series I. Discuss prospective buys on our message boards and for the definitive view, get an LRO buying guide. See below for details. Smoke. A puff of smoke on start up is common, but this should clear quickly. A constant stream of blue smoke might indicate worn valve stem seals. Filler/breather caps. ‘Mayonnaise’ may either mean water in the oil, or the vehicle never gets up to working temperature and needs a good long run. Rattling/tapping. The camshaft lobes and followers are prone to wear and become noisy. Most engines have a little but excessive noise needs attention. New parts are expensive. Oil traces. Check the radiator for oil traces. Petrol engines are a good design, well suited to the vehicle. Diesels are best left to experts. Both types may well be worn and rebuilds are expensive. Shifting. Should be quiet and easy, not noisy and difficult. The louder/more difficult, the more worn. Oil leaks. All old Land Rovers leak oil, but they don’t have to. Look at the ground where the Land Rover is usually parked to get an idea of how bad the leaks are. A drip is okay, a massive patch isn’t. 4WD. Make sure it engages and disengages correctly, both in high range and low range. Press the yellow knob down to engage 4WD High Range, then pull the red lever back to engage 4WD low range. This should cause the yellow knob to pop-up smartly. Drive on a loose surface in both modes to check drive works correctly. Differentials. They shouldn’t whine, though they can often run like this for ages. A bit of kangarooing (on/offer on the accelerator in second gear) will show up excessive backlash in the diff slop in the drivetrain nicely, but be gentle. Propshafts. Grasp each propshaft near the sliding joint and push/pull sideways, to reveal spline wear. Free play. Steering shouldn’t feel woolly or stiff. While stationary, pull the steering wheel from side to side to reveal any free play. With so many links, it is going to be a lot more vague than a modern car. More than two-three inches of movement on the wheel is considered excessive. The 88-inch model’s recirculating-ball steering box will hold your desired line quite well, while the 86-inch worm-and-nut unit needs constant corrections. Chrome swivels. If they’re pitted and weeping oil, it’ll cost £500-plus for decent quality parts for a full rebuild. Springs. Check for worn leaves at their ends. Rust bursting out between the leaves is not a good sign either. Check all the bushes for integrity. Rot. The newest are nearly half a century old. There is going to be rust, the question is how much. A project vehicle must have a good chassis. If there’s a lot of repair work you can bet the un-repaired bits will be next to rot. 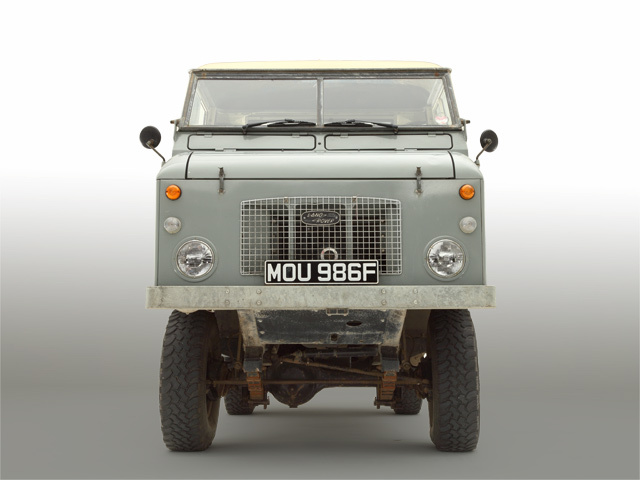 New chassis are available through the Land Rover Series One Club. Straight lines. It’s easy to see if the chassis or body is twisted by looking along the galvanised capping. Look along each side, if rear crossmember and bulkhead outriggers have been replaced and the bulkhead pillars have been mended, panel alignment could be wayward (and hard to sort). Alloy panels don’t rust like steel, but it still corrodes. Rusty bulkheads. Check the top rail beneath the windscreen, the door pillars and especially the footwells – they aren’t always as simple to fix as people would have you believe. A very simple system, but one that may have been bodged over the decades. Maintenance. Mostly as basic as it gets but sometimes on ‘restorations’, not everything has been restored. Check everything carefully. Though prices are up now, there were many years when you could buy a Series I for next to nothing. Enthusiasts would gather several non-runners and create one good vehicle. It was also common for a log book and build plate to be swapped from one vehicle to another. So buying a Series I is not like buying a newer vehicle – it’s no good worrying about paintwork or tyres if the vehicle you’re looking at isn’t ‘proper’. Anyone thinking of buying a Series I should take a look at direct.gov.uk/en/motoring (refer to the section ‘Registering A Radically Altered Vehicle’) which explains that your vehicle must retain a certain number of original components to keep its original identity. Legislation is likely to regulate this more closely in future. Rover Co. build plate. Screwed to the driver’s side of the bulkhead just ahead of the high/low lever. The vehicles build number (chassis number) will be stamped here. This should match up with ‘VIN/chassis/frame no.’ on the vehicle’s V5C registration document. Some series Is have a number DIY-stamped on an odd bit of aluminium or brass – walk away! Next, check the actual chassis, to see if the numbers tally. The number should be stamped on the right-hand front or left-hand rear spring shackle bracket (ie, part of the chassis). Then check the main components, the engine number should match the number on the V5C document. VED: Historic vehicle, no charge. NB: Some statistics were never published by Rover and have been measured or estimated. 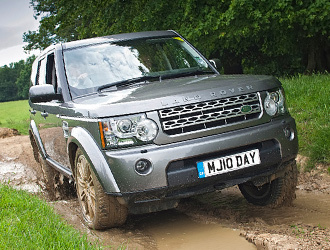 Here are our top tips on things to consider when buying a Discovery 1. Discuss prospective buys on our message boards and for the definitive view, get an LRO buying guide. See below for details. Cracked bores. Can develop on the 3.9 V8 petrol version of the engine. Look for white exhaust smoke, gradual loss of coolant and radiator hoses that feel hard from pressure inside. Camshaft rattling. Expect it on start from cold, but it should stop immediately: continued rattling means camshaft and follower wear. Timing belt. If you're not 100% certain when it was last changed, do it immediately. Early 300s shred timing belts due to misaligned pulleys. Smoke. Let the engine idle for a minute then rev it: blue smoke is oil (bore wear), while white is water, maybe caused by a cracked block. Head gaskets. Tend to go at about 150,000 miles. If you've got a flat spot at 2000-2500 revs and it hardly accelerates from there, the Tdi lift pump is on its way out. Water leaks. Behind the aluminium housing that holds the water pump is a P-shaped gasket – look for leaks. This should be changed when the water pump is changed but often it isn't. Stiff gears. If gear selection is stiff on the initial LT77 manual gearbox (changed at 1993), it could be because someone's filled the box with EP90 gear oil – it should be auto transmission fluid. Whining. Any Disco could have been used for towing, and that can work transmission components very hard. The LT77 will start to whine and feel loose when changing, while the later R380 boxes may crunch when changing into third, or on the third-to-second downchange. Mainshaft wear. Come on and off the accelerator, listening for slight banging and feeling for hesitation in taking up drive – though this is difficult to distinguish from other driveline wear such as propshaft universal joints and differentials. Worn suspension bushes. Listen for klonks when going over uneven ground with the wheels turned. Steering may also feel a little vague and handling in corners sloppy. Rear radius arm bushes. Accelerate, then lift your foot off. If there's rear-steering, they're probably worn. Rusted discs. They go from the outside edges inwards, so there's less braking area. This affects the rear more than the front; wheels may lock up. It's not uncommon for the whole braking system to be neglected so if you're changing discs, it makes sense to change wheel bearings at the same time. Check brake flexipipe deterioration, corrosion of metal pipework and chafing against the chassis. Steering wobble. Worn components can give steering wobble, sometimes made worse by worn suspension. A Disco with general wear can steer badly, and fixing just one or two components won't solve the problem. Front swivels are often a contributing factor: DIY-able with care and patience. Power steering pump. Its central shaft can work forward, push the fan belt, and wear the belt prematurely – listen for the belt chirping. If a new belt tensioner doesn't sort it out, check the pump pulley. There's a lip on each side and the belt must be running central on the pulley. If it isn't, you'll need a new pump. Leaks. Shine a light under the front of the vehicle, looking out for leaks from power-steering components. The steering column can become stiff. Replacing the joints can improve its feel considerably, but sometimes just a squirt with 3-in-1 oil will fix things. Starting problems. These are often caused by the immobilizer unit, located on top of the heater housing behind the radio. Other known electrical issues on the ES and ES Premium models include a jammed sunroof causing the motor to burn out, failed electric seat mechanisms and non-functioning heated seats. Rust. Front inner wings can rust spectacularly, rotting from the headlights right back through the A-post – and the rears are nearly as bad. Open the front door and shine a bright torch all the way down the A-pillar to check for rust (it's only visible when really bad, unless you remove the plastic sill trim). Rear floors rust horribly and rot can spread to the wheelarches. When bad, even the seatbelt mounts can be pulled right off by hand. While you're at it, look for signs of paintwork blistering and feel around the wheelarches for roughness. Hinge wear. Open the doors and lift at the outside edge to feel for hinge wear (especially at the rear). Leaks. Very common on Discos. Check sunroofs, from the top of the back door, through the footwells if rusted and through rear wheel-arches. Seats. Fold and unfold all of them, checking for rips and stains. If the driver's seat is like sitting in a bucket, buy a seat diaphragm – it's held with clips. RAMP BREAKOVER ANGLE: 149º (Tdi), 151º (V8 and Mpi). 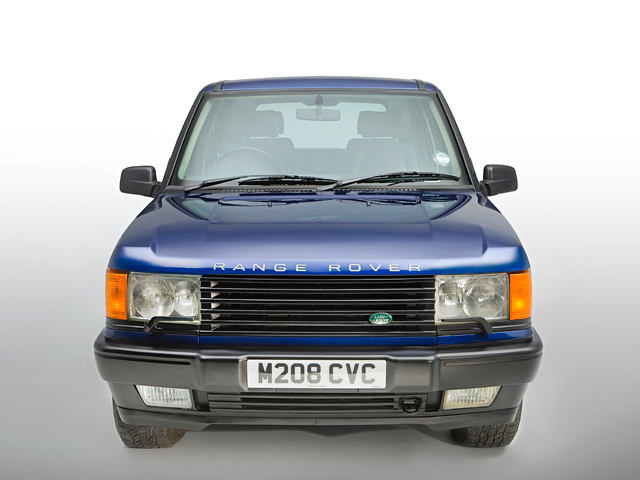 Here are our top tips on things to consider when buying a Range Rover P38. Discuss prospective buys on our message boards and for the definitive view, get an LRO buying guide. See below for details. V8 liners. These can slip, making the block porous. The cooling system pressurises – look out for rock hard hoses. A replacement reconditioned engine is usually your best option. Cracked blocks. This happens after overheating, but if V8 liners are good after 60,000 miles, they should stay good. Cylinder head gasket. If the engine has overheated, you may suffer problems. Look for loss of performance and oil in the coolant. The hose off the top of the radiator to the expansion tank can get blocked, causing the cooling system to pressurize, which can be enough to finish off a head gasket. Poor starting when cold might be caused by old glow plugs or a weak lift pump. If both hot and cold starts are troublesome it'll be a confused sensor – bypass it with a hot-start kit. Battery. What you think is battery-drain could just be a battery that is too small. It should be about 1200 cranking amps, but it is not uncommon for people to buy whatever battery's convenient. When cold, a small batter might mean there's not enough power to run all the electrics and turn the engine. Water pump. The plastic impeller on the diesel is prone to breaking up. No heating in the car is a clear sign. It can lead to overheating and serious engine damage. Radiator. Check that the temperature remains stable when the car's idling, and check the coolant reservoir for oil stains or suspicious newness. Shine a torch through the grille, looking for anti-freeze stains and loss of radiator finning, then check for leakage after your test drive. Leaks may indicate system pressurisation. Don't buy a gas-converted P38 without an LPGA certificate, or you may struggle to find insurance. Gearbox ECU. The ZF four-speed autobox is generally trouble-free, but suspect a problem if sport mode won't select. R380 manual-box. Check the third-to-second downchange for roughness – a sign that the synchromesh is failing, which will mean a new gearbox eventually. Two-speed Borg-Warner transfer box. Engage low range to make sure it's good. Check clutch operation while you're at it: if the gears grate, it's worn. Wheel bearings. Usually give out at around 130,000 miles. Watch out for vibration through the steering wheel. Air suspension. Air springs perish. It has five height settings; send it up to its highest setting – if the air springs (bags) are cracked around the base, they probably won't last long. Whilst testing, make sure it rises quickly and goes to all settings. If it's slow to rise, the compressor pump is on its way out. Leaking bags cause the compressor to work overtime and burn out, so they need replacing promptly. Pump filter. If it's clogged then the pump runs hot, which is a cause of compressor failure. ABS. When you switch on, there will be five to ten seconds of buzzing – that's the ABS pump priming. If you press the brake pedal four times, it will kick in and prime itself again. If it primes every time you press, that's an internal leak. To fix, change the accumulator. If the ABS light won't go out, check the sensors – sometimes they'll push up, which means the air gap is wrong. It may just need pushing back in. Pistons. If you need a lot of pedal pressure, the pistons could be stuck. Discs. Check that there are no brake vibrations as this could be warped or rusted discs. Steering. Turn the wheel. If it's graunchy or notchy, that may be the joints in the collapsible steering column, or the power-steering pump is low on oil, or the power-steering belt is slipping. Ball-joints. These are often worn, leading to a vague steering feel. Heated seats. It's not uncommon for these to have problems. Make sure the vehicle comes with its original radio and immobilizer codes. Get two keys for the car and make sure both work, because they're expensive to replace. ECU. Avoid a P38 that's been wading. There are ECUs are under the front seats, as well as under the bonnet. Battery. Many diagnostic error messages simply come down to a weak battery. Accident-repaired areas can rust. Chassis have held up against corrosion pretty well, but budget for undersealing underneath. Rear wheelarches. They corrode; most commonly on the outer sill on the right-hand side. However, this can be hard to see, because plastic panels cover it. Frame. Check that the gaps between the doors are even, and inspect the frame under the bonnet for signs of crash damage. Pollen filters. These get forgotten, so they'll likely need changing. You'll find them in the right/left corners, behind the rubber back-of-bonnet seal. Aircon motors. If they're dirty, they'll struggle and the fusebox relay will fry. Aircon temperature. It should be very cold – if it's not, the system drier (black canister, below the left-hand headlight) could be your problem. Climate control air-intake filter. Can break up, allowing debris to get in. Shine a torch behind the bottom-of-screen plastic grille and check its condition. Windows. If they bang when they get to the top, it's worn window regulator teeth. Heaters. Base models have a simple heater; others have HeVAC (heating, ventilation and air-conditioning). Three blend motors, for mixing hot and cold air, are behind the dashboard centre. If one fails, Land Rover recommends changing all three. Check each side goes from hot to cold and back to hot. Footwells. Check the right footwell for coolant drips – that's a faulty heater matrix. Damp in the left footwell is likely to be caused by blocked sunroof drain tubing; blow it out with compressed air.